Meizitang Review (UPDATED 2019): Don't Buy Before You Read This! 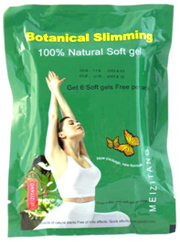 Meizitang is a weight loss diet pill made with plant extracts to help reduce fat absorption in the body. Other claimed benefits are faster fat loss, breakdown of fat tissue, and weight loss for both men and women. Just one pill a day is needed with an increase of water intake to help aid digestion. It’s advised to avoid use if one has any heart issues or certain medical conditions. Multiple websites are available which claim to offer the real Meizitang. This comprehensive review will go over the possible side effects, quality of ingredients, and whether or not weight loss is possible. A list of the top 10 diet pill supplements has been compiled in this link. No official supplements facts list is provided. Websites only mention ingredients without adding the strength of each additive, or what inactive ingredients are added. For unknown reasons, there are multiple websites which claim to offer the real version, but each has slightly different ingredients. ZiSu: Also known as perilla, this mint like herb is used in Chinese medicine as a way to relieve headaches, vomit, appetite loss, and to provide relief from those suffering from a cold. Very little information is known about this additive, and the only science performed has been by one Chinese clinical study. This study showed it has anti-asthmatic effects, but there has not been any weight loss studies done. It’s also unknown what an optimal dose is, or what kinds of side effects are possible. Though it’s claimed to help with certain diseases, this has not been proven in quality clinical studies. Also, even websites that claim it has benefits do not mention weight loss as a possibility. A comprehensive top 10 list of the best diet pills is offered via this link. It can potentially result in liver and heart damage, muscle weakness, loss of electrolytes, and many other damaging effects. An increase of fluid intake is highly advised when using ingredients like these. Without it, the risk for side effects is significantly increased. Fuling: This herb is found in Chinese medicine and it’s claimed to have many health benefits with daily use. So it’s unknown if there are any possible side effects, and it’s impossible to determine whether or not it has any weight loss benefits. Medical Amylum: A complex carbohydrate that can be extracted from many different sources. It’s intended to expand in the stomach to help reduce appetite. Since it can be extracted from common allergens such as wheat, corn, and other additives, it’s possible for it to cause side effects in those with food allergies. 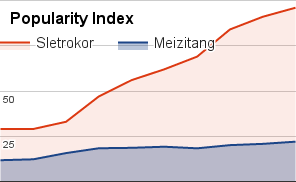 No information is provided about where the makers of Meizitang source their Medical Amylum. Provided in this link is an expert reviewed list of the best diet pills. A major issue exists with the ingredients added to Meizitang. Not only is it unknown whether or not these are the official ingredients, but there are multiple websites claiming to offer the real version. It’s unknown if this is a problem due to quality control, or if there have been issues with manufacturing. Typically, when a diet pill is said to be offered by the real makers, it’s because it’s an imported pill which is not very well researched. Companies outside of the US will market their diet pill supplements to consumers in the US without having any strict manufacturing practices or GMP certification. This means that there is no safety observance or 3rd party oversight to make sure one is taking a diet pill made in a clean and safe environment. None of these websites mention the exact dosage strength, and there are slight differences in what the official ingredients are. Some list additional additives. It’s important to note that none of these ingredients are heavily studied. Some don’t even have any claimed weight loss benefits; they’re often added to help treat symptoms. It’s unknown what kind of ingredients are added and whether or not they are safe to take. Due to this major concern, it’s impossible to determine the overall quality. There are serious safety concerns and a lack of important information provided. This is not a good sign and it shows that there is a lack of accountability on the overall effectiveness and safety. All diet pills sold are not being overseen by a reputable 3rd party to ensure strength, purity, cleanliness, and overall safety. The top 10 list featured here has the highest ranked diet pill supplements. One website claiming to offer the real version of Meizitang sells it for $24.99, though shipping is $15.00 per bag. This is for a 12 capsule serving, which at one a day amounts to 12 days of Meizitang. Without being able to determine what the ingredient strength and what’s actually inside, it’s not possible to determine the quality. The claimed ingredients have not been thoroughly studied however, and it’s unknown what kinds of side effects it may produce. Most of the ingredients have also not been tested to show any weight loss benefits. No money back return policy is offered on any website either. This makes all sales final even if one were to experience side effects. A top 10 list of diet pill supplements is available when you click this link. This notice was sent out after 2 of the company’s brands were found to be contaminated. These contaminations are potentially fatal, and it’s unknown if Meizitang is tested and studied enough to be safe. Sibutramine is often added to imported Chinese diet pill supplements as a way to boost weight loss. Since this ingredient is only prescribed, taking it in unknown amounts via diet pills can be incredibly risky. A top 10 list of the best diet pills is featured when you click here. The few people who have used it have complained about side effects and a lack of weight loss. There were some people who were even hospitalized. It’s unknown which of the ingredients could have caused such effects. People were concerned as there were issues with jitters, fatigue, light headedness, swelling, dizziness, and much more. Many people also mentioned they failed to see any weight loss benefits. Conclusion – Does Meizitang Work? When looking at a brand like Meizitang it’s important to observe the customer reviews, quality of ingredients, and how the company who makes it operates. There have been multiple citations by the FDA which confirmed the company has added sibutramine to their supplements. Users of Meizitang have also mentioned they’ve experienced harsh side effects and a lack of weight loss. Some have even been hospitalized, and it’s unknown if this is caused by the illegally added sibutramine. There’s also an issue about which website truly sells this brand. Many claim to offer the real version, and each with different ingredients and no money back guarantee. The best diet pill supplement in 2019 was found to be Sletrokor. It’s an all-natural formula of plant based extracts which can support mood, enhance metabolism, reduce hunger, burn calories, and provide many other benefits. 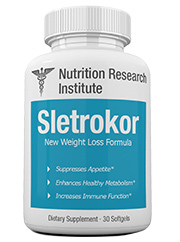 Sletrokor is made in a GMP, FDA approved facility, and it has only stimulant free and artificial free ingredients. Customers have left great reviews and testimonials on their website which show cases significant weight loss benefits. Sletrokor is backed by a full 30 day money back guarantee. Returns are allowed on all purchases within 30 days with no questions asked. Learn more about Sletrokor by clicking the link provided here. Shawana don’t like this product, this company diet is cheap. My friend Shawana had a bad reaction to this worthless pill with upset digestive system and had a problem with a money back.Under no circumstances try supplement unless medico recomends it. I have a client who took these and it caused her to become a schizophrenic . She is now on medication for the rest of her life and it’s caused her to put on a huge amount of weight.